WHY USE SCF TO DE-ENVELOPE YOUR UK PROPERTY? WHAT CAN PREVENT SDLT FREE DE-ENVELOPING? As predicted, the historic tax benefits and/or shelters offered to non-domiciled but ordinarily UK resident individuals (NDOR’s) has been whittled away to the point of non-existence. Under S.110 of the Finance Act 2014, the annual chargeable amount payable for a single-dwelling interest in a residential property – commercial property is outside the scope of ATED – held by a company worth over £500,000.00 is £3,500.00 per annum. Where a residential property is valued between £2 and £5 million S.70 of the Finance Act of 2015 increased the annual tax from an already high £15,400.00 per annum to a staggering £23,350.00 per annum. The valuation of a property is assessed every 5 years based on the original date listed in the Finance Act of 2013 which was the 1st of April 2012. This means that most properties will have been or will need to be valued again based upon a 1st of April 2017 assessment date, which at the time of writing could result in an ‘over-valuation’ given the ongoing and downward price adjustments now occurring in prime London locations. Most individuals/beneficial owners of a UK residential property worth over £500,000.00 will prima facie now find themselves not only liable for the upkeep of their offshore company but now since the 1st of April 2014 are also required to register and pay for an annual tax on enveloped dwellings (ATED) within 30 days of the beginning of the first day of the applicable charging period. Thus, for example a chargeable period commencing from the 1st of April 2017 would require that the ATED is paid by the 30th of April 2017 or penalties would be imposed. The ATED rate varies from £3,500.00 to £220,350.00 per annum (See Chart ‘A’) not to mention exposure to the previously avoidable capital gains and inheritance taxes. In short, it would save for one crucial fact seem self-evident that nearly all non-commercial properties individually* worth over £500,000.00 owned by offshore companies should seek to de-envelop. However, the fly in the ointment is that the process of conveying a property – a legally separate limited liability entity to its owner – triggers stamp duty land tax (SDLT) which in the UK is extremely punitive (See Chart ‘B’) and in effect creates a double SDLT taxation exposure to the same ultimate beneficial owner for the same property! More to the point, current anti-avoidance provisions and in particular the relatively recent ‘substance over form’ General Anti-Abuse Rule (GAAR) mean that any conveyance must be at verifiable market value if it is to stand up to scrutiny. There are of course HMRC reliefs and exemptions but to receive these an application must be made to HMRC showing that the offshore company is involved in a commercial enterprise in the UK subject to UK corporate and related taxes. This requirement in effect means that should an offshore company wish to apply for any reliefs and/or exemptions it would need to first register as a branch in the UK and then show it is a property development company holding stock, a qualified property rental company and/or has let out its property/ies on a commercial basis to a 3rd party at market rates. This seems like ‘Having your Cake and Eating it’ but for many offshore companies (but not all unfortunately) it is possible to re-structure a company’s articles or their equivalent to allow distributions to be made to shareholders in a manner that does not trigger an SDLT charge. However, the process is not easy and involves an intricate legal procedure, many ‘Companies House’ or its equivalent submissions, the use of specialist lawyers in the offshore and the UK jurisdiction, legal opinions, official declarations, transfer of ownership (if nominees have been used) to the individual beneficial owners, up-to-date accounts from a qualified accountant, confirmation that the relevant company has sufficient assets to make the distribution and most importantly that there are no 3rd party creditors and/or debts owed and/or being paid form the distribution. There can also be further difficulties where properties are leasehold rather than freehold due to the addition of extra parties but these difficulties are more bureaucratic/procedural rather than absolute obstacles. As can be imagined, this type of process is very intensive but the end result is that a property can be transferred to its ultimate beneficial owner for a fraction of the cost of the otherwise applicable SDLT charge. As many of the costs, professional fees, disbursements and statutory lodgements are the same no matter the value of the residential property the economic sense of de-enveloping a property increases with the value of property. This means that whilst it can make economic sense to de-envelop a property worth £750,000.00 it makes even more sense if the property is worth £2 or £5 million as the savings become much greater given the sliding scale of SDLT charges (See Chart ‘B’ below). It should be noted that where a company (normally offshore) has a portfolio of investment properties then ATED shall only apply to such individual properties that are valued above £500,000.00 even. Therefore, even if the total value of a portfolio was £10 million provided none of them was valued over £500,000.00 then ATED – in such circumstances – would not apply. However, given that most offshore companies have been used to purchase London properties finding oneself outside of the ‘clutches’ of ATED is rare. Value of Property to be de-enveloped? Is the property Encumbered/ Mortgaged? Where is the Company owning the Property Located? De-enveloping.co.uk is part of The SCF Group of Companies and has been specifically set-up to assist those who have purchased London and UK properties using previously tax efficient offshore or international business companies but now find that the annual Advanced Tax on Enveloped Dwellings (ATED) is too high to economically maintain on properties worth over £500,000.00 AND do not want to be subject to Stamp Duty Land Tax (SDLT) when transferring a company held property to themselves. It should be noted that generally it is not economically viable to de-envelope properties below £750,000.00 but as the ATED tax thresholds are very punitive it becomes almost compulsory (where possible) for properties worth over £1,000,000.00 with very substantial savings coming into play for properties worth over £2,000,000.00. The services offered by The SCF Group combine almost 25 years of offshore and tax planning experience which enable the firm to correctly prepare, amend, legalize or otherwise prepare a company for tax free conveyancing in conjunction with our specialist conveyancing solicitors. For those with properties worth £2 million or more the cost of de-enveloping is often less than 1 year’s ATED Tax. It should be noted that not all properties can be de-enveloped including properties that have received 3rd party funding or are subject to encumbrances. In addition, generally commercial properties are exempt from ATED as are those that are carrying out genuine UK property management services, which for the purposes of clarification does not simply mean renting out a property using a UK estate agent but actually carrying out property management in the UK with profits subject to UK corporate and value added taxes. 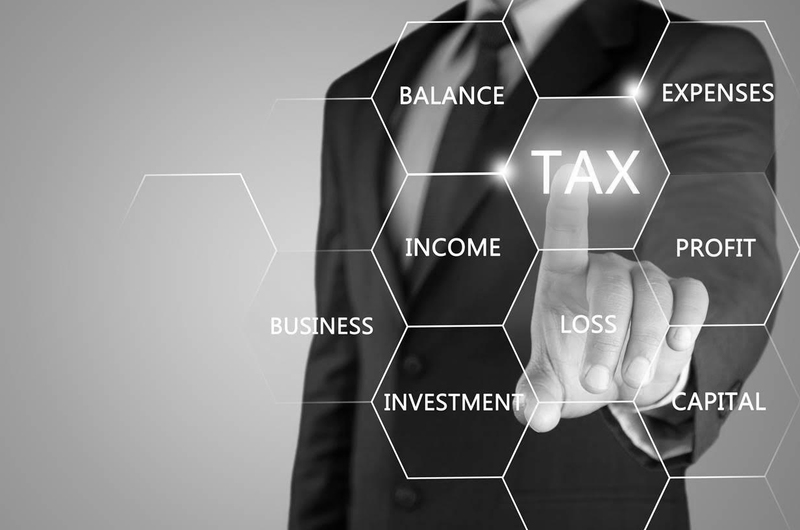 In addition to property de-enveloping services The SCF Group also provides a wide range of tax planning, accountancy and company formation services both within the UK and internationally including wealth protection trusts and private interest foundations. For more information on the main SCF Group please go to our ‘Mother’ Website www.scfgroup.com.